Pole saws come extremely handy when you wish to protect your property and your loved ones from the danger of storms and falling branches. Big branches falling from tall trees can not only be a danger to your property but your family too, making it extremely necessary to take the necessary precautions to ensure that does not happen. Pole saws can easily help you solve these problems without the need for professional help. The following paragraphs explore a few possibilities. Pole saws are extremely useful for anyone who has trees in their yard or have a lot of tree branches to trim. It easily takes care of most of your gardening needs and also comes with many added accessories that make your daily work easier. Some of them come with light and durable aluminium poles that often give you a reach of 10 feet to 15 feet depending on the height of the user. 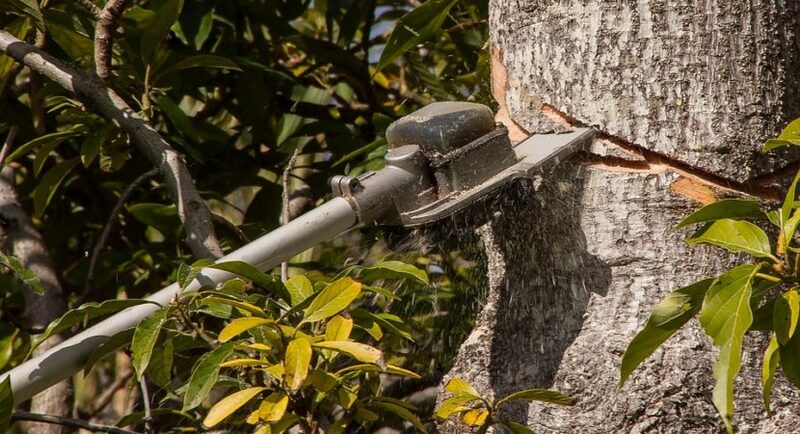 Some can be converted from chainsaws to pole saws without the use of tools, which means that you need only one device to take care of all your hedging, trimming and pruning needs. The best pole saws also put safety first with most of them coming with flip and lock clamps and durable poles that avoid slippage. Some of them have motors with low kickback that avoid your shoulders getting too strained. The gas powered and electrically powered pole saws each have advantages of their own. While all of that is true, it is also true that trimming and cutting through branches to help with your gardening hobbies is not the only thing a pole saw is good for. Pole saws are no luxury but a basic need for anyone with tall trees in their yard. If one needs to cut trees without having to call for professional help and subsequently burning a hole in their pocket. And it is also true that pole saws are extremely handy and important for anyone who wishes to protect their home and loved ones from storms and falling branches. While it is true that when you start using a pole saw, it will take some getting used to but it is also true that nothing beats the perks that a pole saw machine will give you. If yours is a yard lined with trees that have needed trimming for some time and a storm is headed your way with no prior warning, you might want to start taking care of the branches before the storm hits and breaks heavy branches that can easily crash fall heavily on you, your home or someone you love. And there is only one way to avoid that. This is where the pole saw comes in. 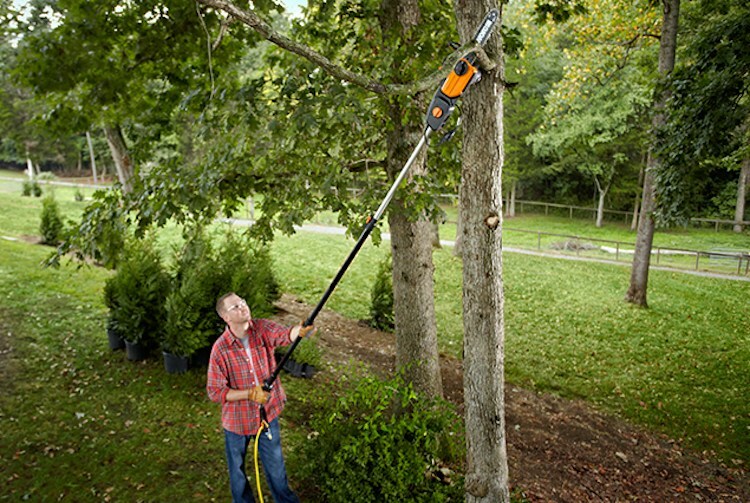 Handy, storage-friendly, light and durable yet powerful enough to cut through several inches wide branches, a pole saw lets you get rid of the trouble before it even happens. Prevention is always better than cure and when you don’t want to risk the safety of your property and loved one. Without having to call and wait for a professional to take care of your needs, use the pole saws to get rid of branches on tall trees before storms hit. If there is a tree branches that look dangerous and is at a great height, it need to be gotten rid of sooner rather than later. After all, every house these days are surrounded by electrical poles and power lines and wires. A thick tree branch falling one of those wires might spell disaster for anyone and everyone living in the area. It could lead to power cuts that last for days on end while the lines are being fixed. Worse, during a storm especially, it might lead to the electrocution and death of someone who is unfortunate enough to be in the area. And all that because you did not properly take precautions when there was still time. Even when there is not a storm, loosely hanging heave branches might crash down at any point of time. A slight wind and it might end up shattering your car or break someone’s bones. If you have a yard and also have children, there is a high chance that they are outside in the yard for most of the day which puts your closest loved ones directly in the line of fire. A pole saw will get rid of the problem quite literally from its roots. They are amazingly handy when it comes to such situations and would rather prevent rather than watching you try to cure and fail. But it is not only before the storms quite literally sweeps you off your feet that the manual pole saw comes in handy. The aftermath of a bad storm, be it snow, rain or hail, can be pretty much of a disaster too. Your front yard probably looks like a massacre of tree branches and roots, your backyard has a fence that has fallen in and thick spiky and heavy logs on top. This makes normal work and play pretty impossible. Children cannot go into the yard because they might trip and fall or get bitten by something hiding under the fallen branch. Your car has no way of getting out of the garage and you finally give in and call your office to take a long leave during which you intend on hiring professionals who will sort through the mess for you and burn a massive hole in your pocket in the process. Well, you don’t really have to do that anymore. With the use of pole saws that sometimes even convert into chainsaws, clear your way through the wilderness. And just in time for your office too! Thus, we see that pole saws are very useful not only when you are doing simple gardening jobs but also when the safety of your family and beautiful home is called into question. 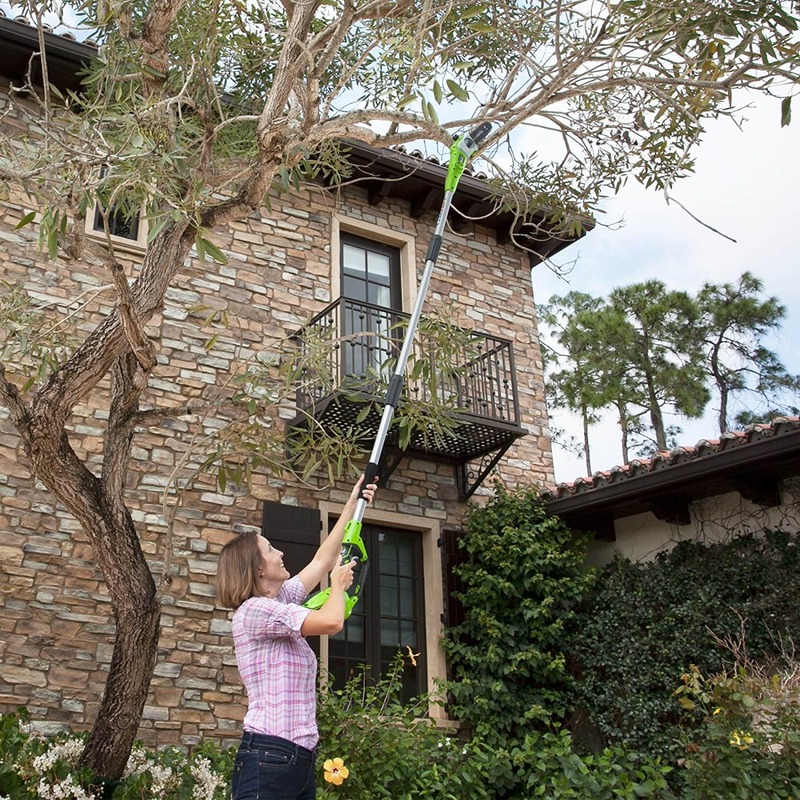 With the devices, you can cut through dangerous branches before storms hit and ensure that home and hearth remains protected.